If you want to be the best you have to beat the best. 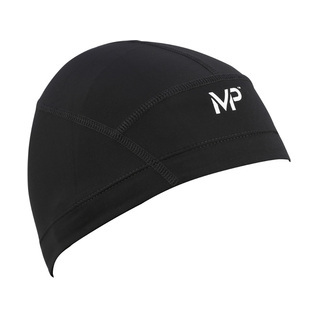 The all new Aqua Sphere Compression Swim Cap with Micheal Phelps trademark logo on the center front. You could not get any faster if you shaved completely bald, the dynamic silicone compression materials in this cap provide a seamless, water cutting experience. My son had gotten this cap about 2 years ago, and needed a replacement. I ordered it because the price was great, but unfortunately didn't realize I ordered the wrong size. Just returned it because you don't have a smaller size available. Other than that, it's a great cap for under a swim cap.